This exciting program takes place at The Kate, 300 Main Street in Old Saybrook, and runs for seven weekly sessions on Wednesday afternoons from 4 to 5 p.m. beginning March 21. Launched in 2013, Kate’s Camp for Kids is a performing arts camp for children in grades K-5 incorporating music, dance, theater, and visual art. 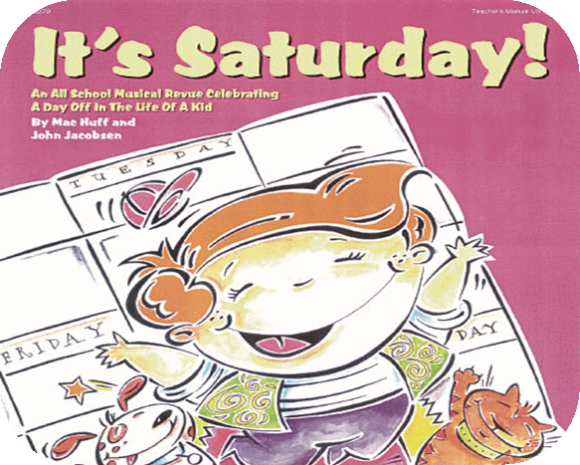 Directed by Martha Herrle, a 16-year member of CMS faculty and certified Kindermusik educator, this year’s camp theme will be “It’s Saturday!” Join the celebration of a ‘day off’ in the life of a kid with this clever mini-musical. From watching cartoons to piano lessons, from football practice to chores, you’ll explore all the options for activities … or are they options? Featuring five original songs and easy-to-learn rhyming dialog, the program culminates in a lively performance for friends and family. Tuition for this camp is $165 and scholarships are available for families with a financial need. Community Music School offers innovative music programming for infants through adults, building on a 30-year tradition of providing quality music instruction to residents of shoreline communities. The School’s programs cultivate musical ability and creativity and provide students with a thorough understanding of music so they can enjoy playing and listening for their entire lives. Learn more at www.community-music-school.org or call (860)767-0026.